Since varsion 0.95 you can set additional start-pages for the crawler. This is useful when you want to start spidering from different startup points. 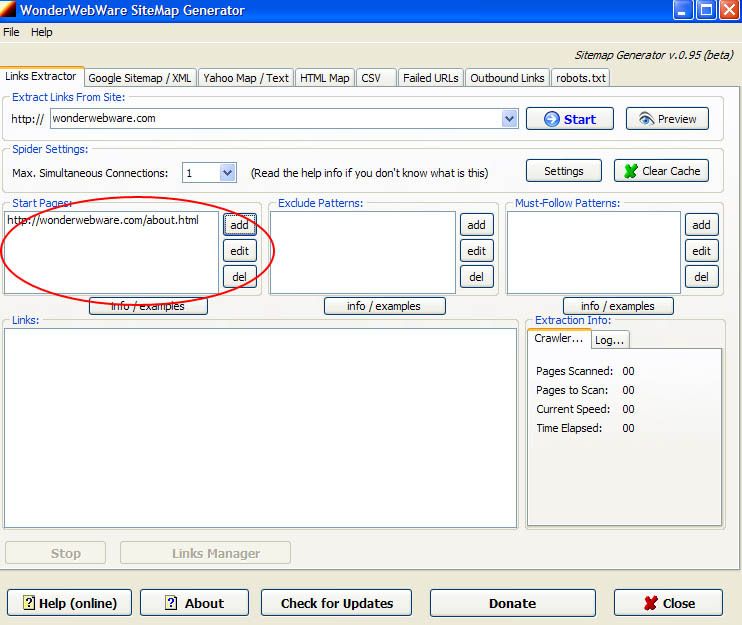 For example, if you set "http://mydomain.com/page1.html" and "http://mydomain.com/startpage2.html" as start pages, Sitemap Generator will start crawling from 3 pages: the default (index) page of the site, the "page1.html" page and "startpage2.html" page.